Surface texturing is a process of inducing specific patterns on a surface to enhance the performance of the surface in its working environment. The arrays of patterns can be either micro-scale, nano-scale, or its combination. In general, micro-texturing of a surface regulates the surface energy and contact angle (CA), which can lead to hydrophobicity and improved tribological properties to the surface. Laser surface texturing process (direct write method) is one of the best suitable processes for producing micro-patterns because of its better accuracy, repeatability, and machining rate over the advanced machining processes (electric discharge machining, electrochemical micro-machining, etc.). In the present work, an attempt has been made to produce micro-textures on polymeric as well as metallic surfaces using CO2 laser and solid-state pulsed ytterbium fiber laser respectively. An experimental analysis is executed to understand how CA and coefficient of friction (COF) depend on substrate’s surface topography and areal density of the texture. Various polymeric and metal surfaces such as Kapton, Mylar™ (polyethylene terephthalate or PET), cellulose acetate film, titanium alloy (Ti6Al4V), and stainless steel (SS304) are laser textured by producing various micro-patterns such as array of micro-pillars of the square and triangular cross section, and micro-dimples. A novel study of the influence of areal density of textures on the coefficient of friction and wear is performed to signify the applicability of the textured surfaces. Textures of 32, 140, and 670 pillars/mm2 areal densities are machined and tested through fretting wear test. In Ti6Al4V, texture with (30 μm pillar width) areal density 640 pillars/mm2 leads to lowest COF and highest contact angle of 140°. Abhilasha Singh went to heavenly abode on Apr. 12, 2017. 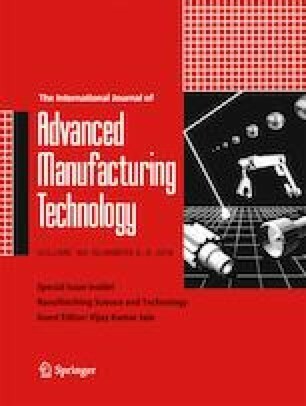 This paper is a revised and an expanded version of the paper entitled “Wettability Test of Various Viscosity Fluid over Laser Textured Polymeric Surfaces” by Abhilasha Singh, Divyansh Singh Patel, J. Ramkumar, and K. Balani, presented at the 6th International and 27th AIMTDR Conference (2016) held at the College of Engineering, Pune, India, during 16–18 December, 2016.